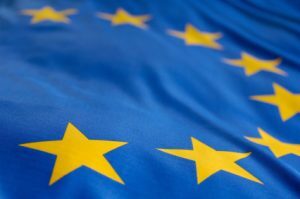 In an open letter to the representatives of the trilogue negotiations on the Copyright Directive – the EU Council, the European Parliament and the European Commission – many European representatives of academic institutions, the civil society, industry, and the Internet culture call for a clear commitment to counter EU Commission’s demands for automated filter systems for online platforms that work with user-generated content. In the open letter, the undersigned lament the obvious recent shortcomings in Articles 11 and 13 of the proposal for a copyright directive, given that these represent insurmountable barriers to the digital single market in Europe, and call on the negotiators to find a balanced compromise for the future of copyright in the European Union. A broad alliance have signed the letter alongside eco – Association of the Internet Industry: the German Startups Association, the German Library Association, Chaos Computer Club, Digitalcourage, Digitale Gesellschaft e.V., EuroISPA, Initiative gegen ein Leistungsschutzrecht (IGEL), Rights International Spain, OpenMedia, Open Knowledge International, Wikimedia, World Wide Web Foundation, and many more. According to the proposed reform, all content of individual Internet users, regardless of whether it is a text, an image, or a video report, should be checked for alleged copyright infringements before being uploaded, and those that are detected by the filter as being potentially in violation of the law are to be blocked. The upload filters form the central element of the EU’s attempt to renew copyright in the digital single market. All platforms that store the content of third parties will be affected by the measure. This means a radical abandonment of the existing rules for the handling of copyright infringements in digital space. Specifically, the current measures for a differentiated legal assessment are antithetical to machine-based systems. Complicated assessments of what is allowed and what not, be it criticism, satire, or art, cannot be undertaken by automatic filters. To this effect, eco, as part of the alliance, calls for binding commitments to future-oriented digital and copyright policies at national and European levels, and thus a clear stance against upload filters.